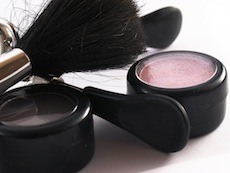 We’re all looking for ways to save money in the current economy, but with personal grooming items costing what they do, it can sometimes be difficult to pinch pennies in this particular area. Here are some of my favorite cost-conscious strategies to look great for less. While I’m all for dishing out for higher end cosmetic items when there’s no other option to get what you need, the truth is there are many instances where we can get by with the multi-purpose beauty products we already have in our bathroom or kitchen cabinet. Finding a workable facial moisturizer is always a challenge for me whenever I decide to try something new, and the final result is rarely priced the way I’d like. That being said, overall body lotion an moisturizing treatments can be purchased or prepared affordably with minimal effort or investment. We all want to have great hair for less, but when it comes to color and curl, things can get tricky. Highlighting and home perms may be a bit out of most women’s skill sets, but a semi-permanent boxed color like Clairol natural instincts can be achieved pretty easily and will wash out over a few weeks. Perfect for experimentation or if you accidentally choose the wrong shade of brunette. While facial sunscreen may still cost a pretty penny, there are many homemade skin care recipes that can be used on the rest of your body when it comes to exfoliation and moisturizing. From cracked heel treatments to deep conditioning for your lips, several solutions are available right in your kitchen pantry. While you may not think affordable nail care options exist, the truth is there are several ways you can get your hands ready for center stage without breaking the bank. Beauty supply stores for example, sell professional files, nail oil and travel-sized clippers for less than traditional salons, making manicure maintenance achievable for professionals on a limited income. Your color selection can also impact your overall beauty budget. Collect every nail lacquer color in the rainbow for instance, and things are likely to get pricey. Keep things basic with a French pink and a dressy red on the other hand, and you only need to choose a good base and top coat combo to round out your repertoire. Looking your best doesn’t have to run your family budget off the rails. A bit of restraint and planning, combined with minimal DIY efforts, can have you feel polished and pampered for pennies.